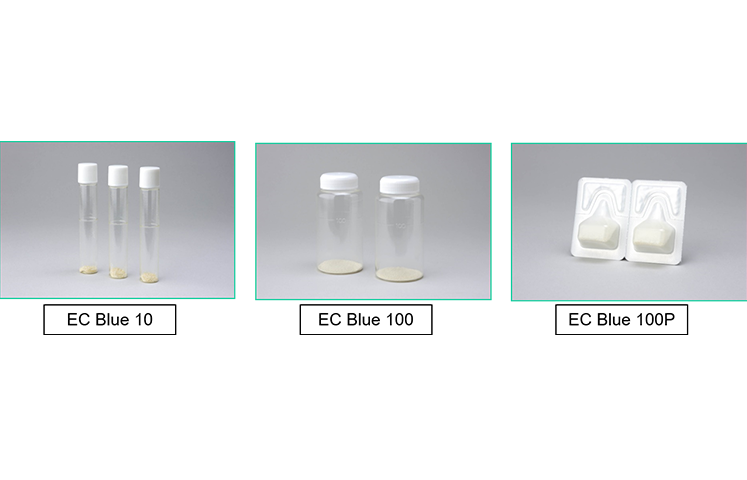 In 1998, EC Blue was introduced as an official water test method in Japan approved by JWWA (2001). There are 3 different presentations (packages) prepared for E. coli and coliform detection from water. EC Blue is "Culture Medium".